The Agora of the Competaliasts was laid out around 125 BC in the heart of the Delian emporion, which was both a market place and the centre of the Italian cults. 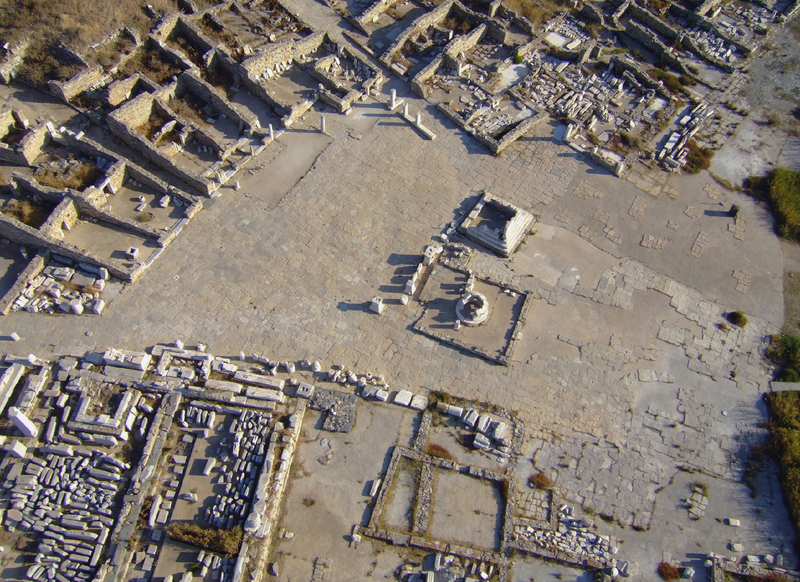 Claire Hasenohr will give a lecture on “The Agora of the Competaliasts in Delos in the Hellenistic and Roman Imperial Period: The Building with Pillars and Half-Columns”. The event is part of The Circle lecture series. The Agora of the Competaliasts was laid out around 125 BC in the heart of the Delian emporion, which was both a market place and the centre of the Italian cults. The architectural study and the excavations carried out since 1994have made it possible totrace the urban developmentof thisarea from the archaic to imperial periods and to identify the remains of a curious building with marble pillars and half-columns. Some forty fragments of bases, shafts and capitals with unusual mouldings have survived. Careful observation of thecutting of the dressed facesreveals that the construction was never completed. The blocks were recut and reused twice; first in a partitioned portico, then, in the late period, in theporchway toa house. This contribution presents the history and the reconstruction of these successive buildings before considering their function and how they fitted into the urban landscape of Hellenistic and Roman Imperial Delos.